Two males took off from a fruiting tree flying side-by-side. Suddenly they turned, faced each other, and bumped their beaks mid-air. They turned back and continued their flight. 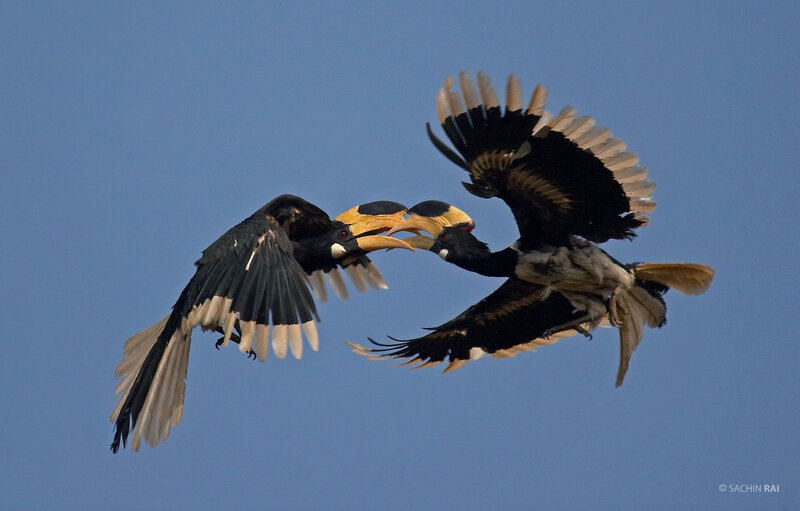 This type of behaviour in hornbills is known as casque butting. It had not been recorded until the time I made this picture in 2007.